A 2000-year-old forest hidden beneath a Tūhoe lake could provide vital information on climate change patterns, Niwa says. Niwa scientist and underwater photographer Crispin Middleton has been working with New Zealand Geographic to document the ancient forest at the bottom of Lake Waikaremoana, 80 kilometres west of Gisborne. Initially a personal project for Middleton, now Niwa is considering paleo-climatic research on the submerged trees which could indicate historic climatic patterns. Crispin Middleton is a marine ecologist and national dive manager for Niwa. 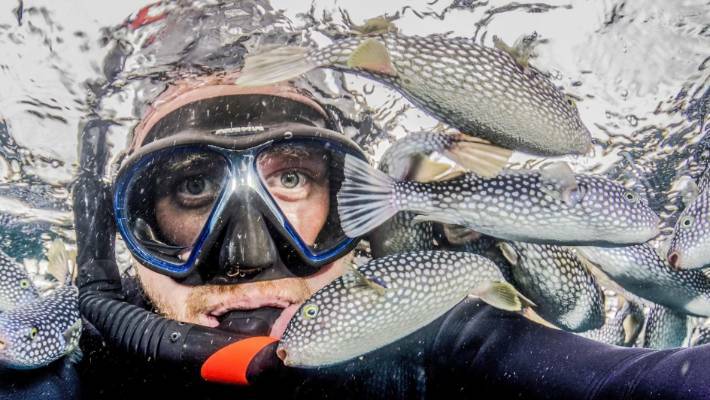 He is also an acclaimed underwater photographer and his work regularly appears in New Zealand Geographic, dive magazines, scientific journals and conservation/ government documents. "If you think about Lake Waikaremoana, it's a place suddenly frozen in time," Middleton told RNZ. "It pretty amazing when you're diving among them to know, no one's really ever stood among them but they probably had moa walking around them, and there they are - still standing at the bottom of the lake." The forest has been under water since the lake was formed by a landslip more than 2000 years ago. The large trees, believed to be beech and possibly rimu, remain standing deep below the lake surface. The lake spreads in many directions, its long fingers probing west and north, with the forests and crumpled ridges of the northern Te Urewera beyond. There's nowhere else quite like it in the whole country, according to New Zealand Geographic. Niwa call Middleton their "underwater magician" for his work documenting life beneath the ocean's surface and this time has turned his attention to a fresh water project. Middleton is originally from Sheffield in the United Kingdom, and is a marine ecologist and national dive manager for Niwa, looking after the safety of 45 NIWA divers. 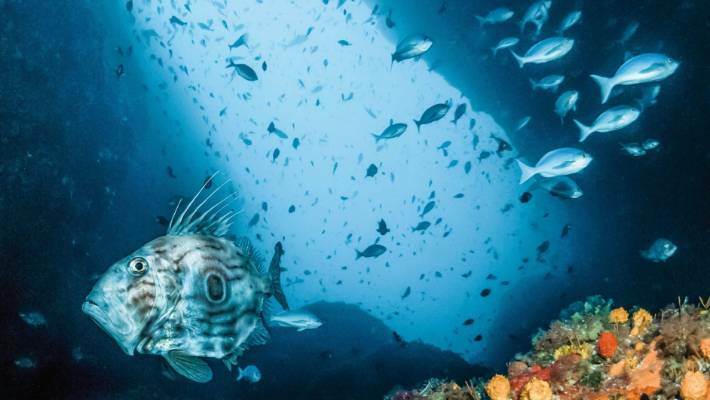 His work has earned him numerous photography awards, and his photos regularly appear in New Zealand Geographic, dive magazines, and scientific journals. With projects focussing on ocean flotsam and plastics, seagrass meadows and dune lakes, Middleton and his team have a busy year ahead. Rikoriko cave is the world's largest sea cave, in the Poor Knights Islands in Tutukaka, Bay of Islands. "Overseas, we have our eye on Lord Howe Island and British Columbia," he said. Middleton's favourite spot is the Poor Knights marine reserve, which is close to his adopted home at Bream Bay, Whangarei. "It's such a stunning place and we can find rarities or species new to New Zealand on almost every trip. There is a real chance of photographing something no one has ever seen here before." 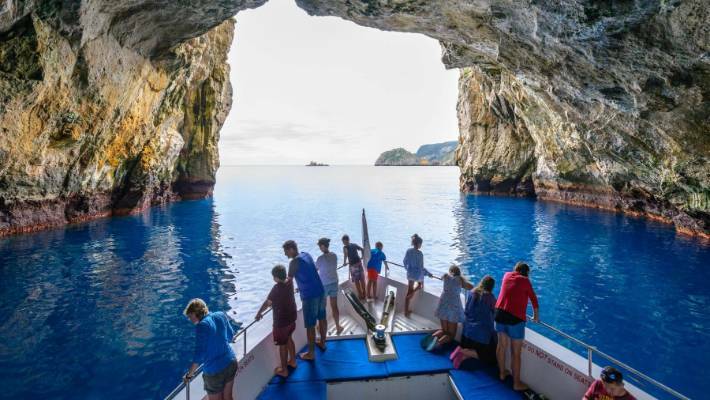 The Poor Knights Islands are the remains of a group of ancient volcanoes. Beneath the waves these volcanoes have been hollowed and shaped by the ocean into a web of caves, tunnels and cliffs which Jacques Cousteau rated as one of the top ten dives in the world, according to the Department of Conservation. 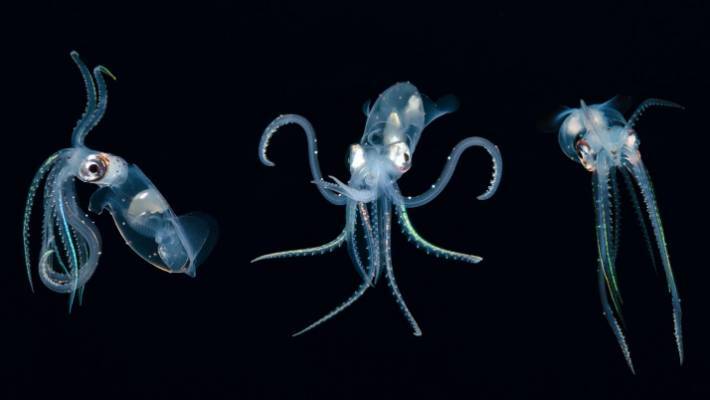 Crispin Middleton's image of the Madonna squid has taken out the Special Award at Niwa's annual photography awards. While on a trip around California, Crispin's expensive equipment was stolen from his car, and while he's excited about replacing his gear he says "it doesn't come cheap". "My new gear will be a Nikon D850 in a Nauticam housing with twin Inon strobes. My main macro lenses are the 60mm and 105mm micro and for wide, I use the 15mm Sigma fish eye. "This set up is a beautiful bit of kit and widely regarded as the best available for underwater photography."